The Schaeffler Group’s employees are one of the most important pillars of its success. Schaeffler considers it a central task of human resources work to foster employees’ technical expertise, their skills, their engagement, and their passion for innovation. The initiative “Leadership and Corporate Values” within the framework of “Agenda 4 plus One” is concerned with implementing a globally valid management model based on company values. The company values sustainable, innovative, excellent, and passionate form the foundation for this new management model and its framework for guiding conduct. management principles shape the structure of personnel management at Schaeffler. Defining clear and globally valid management principles and guidelines supports the implementation of the strategy “Mobility for tomorrow” and orients Schaeffler’s management style to meet modern challenges – for example, digitalization or Industry 4.0. In the 2017 reporting year, the initiative “Leadership and Corporate Values” began with an intensive analysis phase in which more than 400 employees worldwide were surveyed. This analysis was centered on questions about how management is run in the company and which demands will be placed on Schaeffler’s management in the future. At the beginning of October 2017, this was the basis for the approval of six management guidelines, each with five anchors for conduct. Today, these management guidelines form the globally used structure. Together with the company’s four values and its management principles of transparency, teamwork, and trust, they create a common understanding in the company. The company values describe the identity of the Schaeffler Group and provide a point of orientation for all employees. Together with the management guidelines, the management principles demonstrate the demands that management faces and support managers in deciding how to lead their employees. The company finds the right employees, among other ways, through its many university programs. These employees are individually supported by offering them attractive incentives such as training and qualification measures, to give one example. The HR development measures of the Schaeffler Group are generally based on the 70:20:10 learning model: 70% on-the-job experience, 20% exchange with others, and 10% on-site and off-site training. In line with a forward-looking management of young talents, employees with potential are identified and key positions are secured at an early stage. This is done within the framework of a globally uniform and compulsory talent management process, which includes an annual performance appraisal between managers and employees, among other things. The objective is to provide clear feedback on performance and to identify qualification requirements for present and future tasks, also in terms of potential development measures for the employee. The special software developed in-house for this and the accompanying processes have been successfully rolled out in the majority of countries. Some 86% of the global target group are now covered. Starting in 2018, work will begin on an even more effective and efficient process and IT system within the framework of the “Global Talent Management 2.0” project, which will significantly increase usage benefits for all stakeholders – employees, managers, and Schaeffler as a company. For hourly-wage employees, the need for advanced training is determined through task-oriented qualification matrices. Something newly conceived in the 2017 reporting year was the training series “In the Lead@Europe,” which provides uniform management training in every country in the Europe region. The management guidelines defined in the context of the initiative “Leadership & Corporate Values” form the basis for the content of this training, which communicates them through modern and interactive learning methods. In order to support managers with a high potential, Schaeffler has three new regional development programs. In the Asia/Pacific region, the Accelerators Program (ACE) and the Management Talent Program (MTP) were implemented. The Leadership Operations Program for potential candidates in the area of operations was originally available only in Germany but has since been rolled out in the Europe region. In order to meet changing demands in training and education, the Schaeffler Group created the project “Apprenticeship for the Future” as part of the initiative “Qualification for Tomorrow.” This program includes an interdisciplinary qualification, media reorientation, and adaptation of the demands for choosing applications and for systems for assessing and developing personnel, as well as an expansion of interdisciplinary training contents that cross vocational fields. In addition to the training programs in Germany, 29 additional training sites from other countries are now involved in this project. Figure regarding the number of employees employed as apprentices in 2016 (2,966) refers to the reporting date of November 30, 2016 and was corrected to 2,982 apprentices for the reporting date of December 31, 2016. The Schaeffler Group uses training fairs and career information days at its sites to inform young people about various careers and training opportunities. At the end of the business year 2017, more than 3,185 apprentices worldwide (correspondingly 3.5% of the workforce) were employed at the Schaeffler Group in apprenticeships (previous year: 2,982 or 3.4% of the workforce). The number of apprentices thus increased by 6.8% in comparison to the previous year. Future employees are trained in a total of 20 industrial-technical or commercial vocational qualified jobs at Schaeffler Group sites. 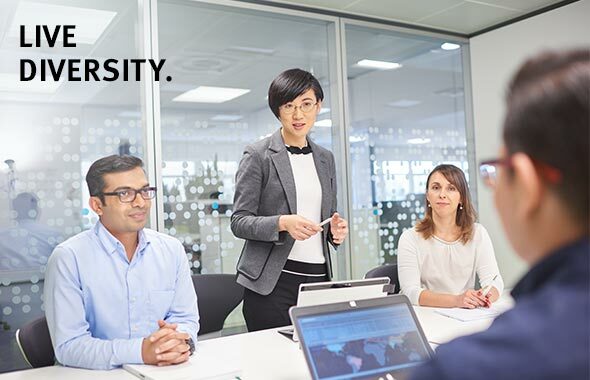 In addition to technical qualification and specific Schaeffler know-how, the company especially values methodological, social, and personal skills. One aim of this training is to convey to young employees how to think and act independently, together with creativity and an awareness of responsibility. Dual studies also play an important role in finding young employees. Here, the Schaeffler Group offers various educational possibilities, for example, a dual program in cooperation with dual institutions of higher education or a “Two in One” program with technical universities in Germany. In the business year 2017, a total of 173 dual university students and 163 “Two in One” students were pursuing a bachelor’s degree. For postgraduate study, the company also offers a master’s degree program that currently has 22 students. more apprentices in comparison to the previous year. 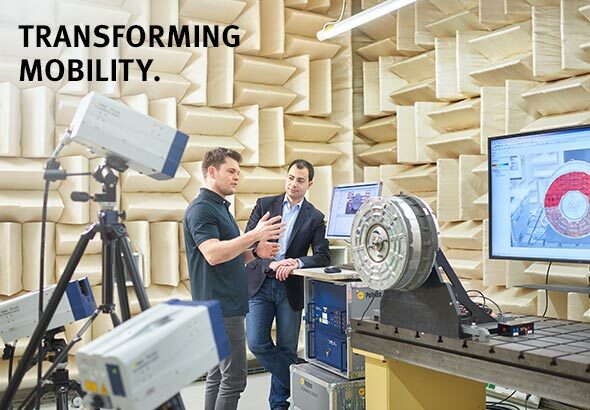 Beyond this, the Schaeffler Group offers special trainee programs in which extraordinarily talented and engaged university graduates have the opportunity to gain an intensive overview of the company and its function areas in the space of 12 to 24 months. Accompanying qualifications that also support personal development give the trainees optimal preparation for positions of responsibility within the Schaeffler Group. In Germany, for example, 49 young employees had participated in this training program by December 31, 2017 (previous year: 40). Similar programs are being carried out in other countries, for example, in the United States. This German model of dual education is also catching on in other countries, such as China, Mexico, or countries in Eastern Europe. Overall, at 55 sites in 15 countries, the Schaeffler Group is training nearly 3,200 young people, including 1,400 apprentices and dual students in Germany. Globalization and digitalization are making new demands on both economic and work processes. The Schaeffler Group’s “New Work” concept plans for new forms of work that foster interaction through an interdisciplinary knowledge exchange among employees in order to support innovation processes. Open office workspaces and modular room concepts – such as multifunctional rooms, think tanks, or “gravity points” that allow employees to have conversations in a relaxed atmosphere – raise the employees’ potential for creativity and motivation. This flexible work environment increases the satisfaction of Schaeffler’s employees and its attractiveness as an employer. The Schaeffler Group has initiated four pilot projects at its sites in Erlangen, Schweinfurt, and Nuremberg. A global “New Work” strategy for the Schaeffler Group is being developed in close cooperation with the Executive Board. ideas submitted via idea management software. The Schaeffler Group’s employees are instrumental in driving its business success. Through their creativity and innovative ideas, employees actively take part in company affairs and assume responsibility for identifying the potential to optimize processes and products. In 2017, the employees of the Schaeffler Group submitted a total of 33,988 ideas through idea management software, leading to savings in the amount of around EUR 20.8 million. The Group actively employs this system at 45 sites in 13 countries and is continually expanding it to include additional sites. Idea management is an important management tool that supports the managers in achieving goals, and it also contributes to sustainable corporate development. These days, work-life balance is integral to being an attractive employer. Younger generations in particular expect their employer to have more flexible work models and provide other offerings to secure work-life balance. The Schaeffler Group is meeting these expectations with employee- and family-friendly solutions, since satisfied and motivated employees are the foundation for successful corporate development. The personnel strategy thus takes into consideration various working hour models, such as part-time, partial retirement, opposite shifts for spouses who both work in production, and mobile work site opportunities. Worldwide, 3.7% of the employees work part-time, and in Germany, it is as much as 6.5%. In terms of the partial retirement plan in Germany, Schaeffler has a proportion of 4.6% in units covered by a collective agreement. In addition, two models for working at home are available across Germany: the short-term, “sporadic home office” (used by 8.4% of the workforce in Germany) and the long-term, “regular home office (used by 0.6% of the workforce in Germany). This makes it possible work from home for up to 40% of monthly working hours, as long as a suitable working space is available and the employee’s duties can be organized appropriately. The adoption of this agreement in additional countries is currently being examined locally. 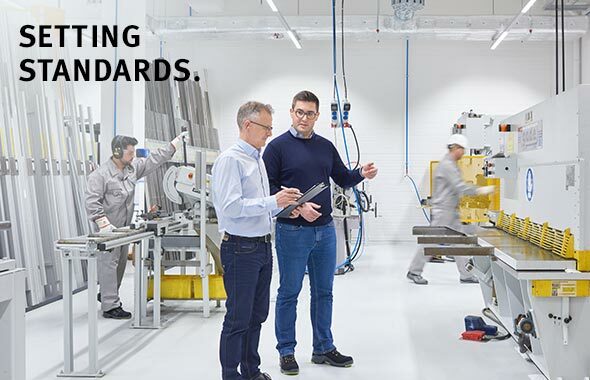 As an international family company, the Schaeffler Group places a high value on family-friendly personnel policies, something that is firmly anchored in the Code of Conduct. Day care spaces for children of employees were created at multiple sites in Germany. There are also parent-child offices at the locations in Steinhagen and Herzogenaurach. Additionally, the company offers special family programs, such as the financially supported project “Summer Kids,” which arranges child-friendly vacation care under qualified supervision with diverse opportunities to play, do arts and crafts, and take excursions. As part of the HR strategy, attractive programs for pay and benefits represent a fundamental building block for employee satisfaction. Moreover, fair, transparent, and performance-oriented pay as well as adequate retirement options are essential characteristics of an attractive employer. Schaeffler’s employees also have high expectations for competitive compensation and adequate retirement options. 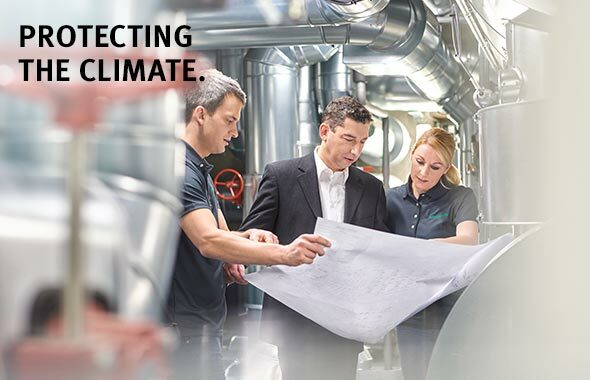 For this reason, Schaeffler has set the goal of introducing a Schaeffler Job Grading System that is uniform worldwide. This Job Grading System increases transparency and forms the basis for further essential HR topics. It makes it possible, for example, to effectively further develop and globally coordinate career paths and successor management. The HR policy principles of the Schaeffler Group expect that employees will be paid in line with market conditions. In so doing, compensation is oriented individually according to an employee’s tasks, success, experience, and performance. Pay also includes bonuses for success or performance. In addition to cash payments, employees of the Schaeffler Group also receive benefits that are oriented toward the current and future needs of local markets. The Schaeffler Group’s compensation models were transitioned in the report year to unified, consistent control parameters and adapted for all employees. The short-term, variable compensation for management – the short-term-bonus – was universally transitioned to the target parameters Schaeffler Value Added and Free Cash Flow, and the range for achieving the goal was harmonized in all compensation models. In addition to the central management indicators Value Added and Free Cash Flow, employees below top executives continue to have the possibility of an individual, qualitative target agreement. Variable compensation models were harmonized outside management, as well. Here, profit-sharing in Germany is especially worth mentioning. Under the motto of consistency, the model of profit-sharing now also includes the components of Schaeffler Value Added and Free Cash Flow. The quality indicator “justified customer complaints” is also included here. Beginning in 2017, the delivery reliability of German production sites is also planned as a third building block for profit-sharing. With this adjustment, the company is not only pursuing the goals of a consistent, performance-oriented compensation model but also underscoring the importance of the successful approach “Quality – Costs – Delivery Reliability,” which is centered on a strong awareness of these three elements. A further important step for increasing employer attractiveness was the agreement of LuK GmbH & Co. KG to join the collective agreement of the Metal and Electronics Industry of Baden-Württemberg beginning January 1, 2018. Working conditions regulated in the agreement and transparent compensation regulations will then be equally applicable to wage-earning and salaried employees. In order to counteract possible gaps in retirement, the company offers its employees attractive, employer- and employee-financed retirement options. These are also oriented to local market conditions. In Germany, for example, these comprise direct retirement obligations on the part of the employer, the Riester pension, or direct insurance policies. Employees in Germany can learn about different retirement concepts via a company-internal retirement portal and can calculate the income they can expect to receive from the various retirement models. You can find more information about the HR stategy of Schaeffler in the Annual Report 2017.